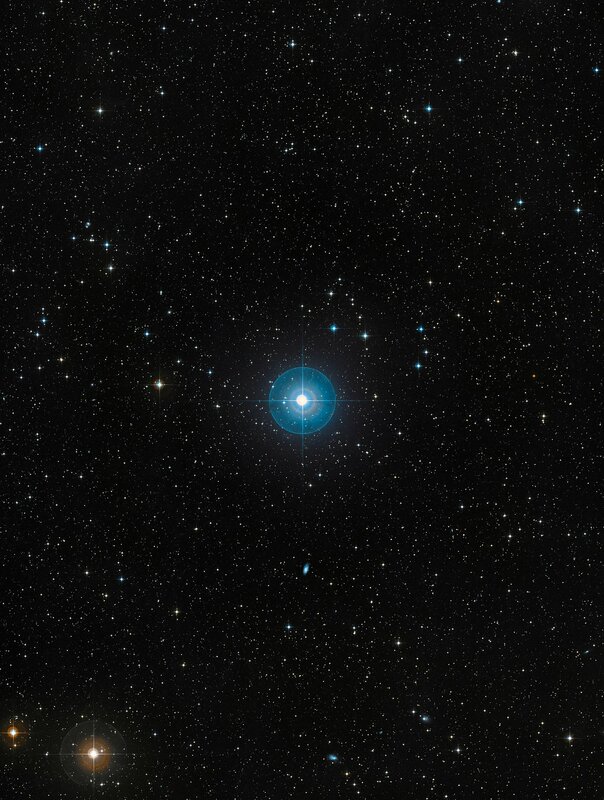 Beta Pictoris is located about 60 light-years away towards the constellation of Pictor (the Painter's Easel) and is one of the best-known examples of a star surrounded by a dusty debris disc. 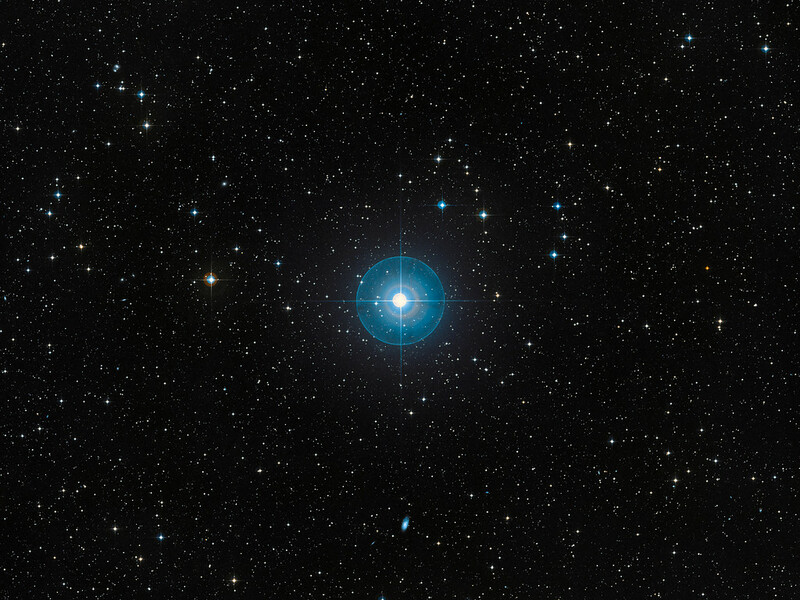 Earlier observations showed a warp of the disc, a secondary inclined disc and comets falling onto the star, all indirect, but tell-tale signs that strongly suggested the presence of a massive planet.Observations done with the NACO instrument on ESO’s Very Large Telescope in 2003, 2008 and 2009, have proven the presence of a planet around Beta Pictoris. 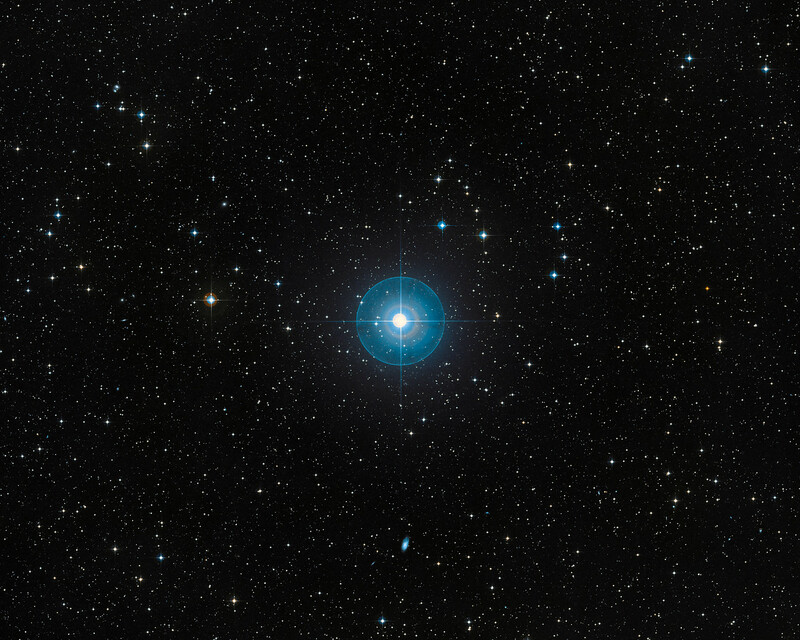 It is located at a distance between 8 and 15 times the Earth-Sun separation — or Astronomical Units — which is about the distance Saturn is from the Sun. The planet has a mass of about nine Jupiter masses and the right mass and location to explain the observed warp in the inner parts of the disc. 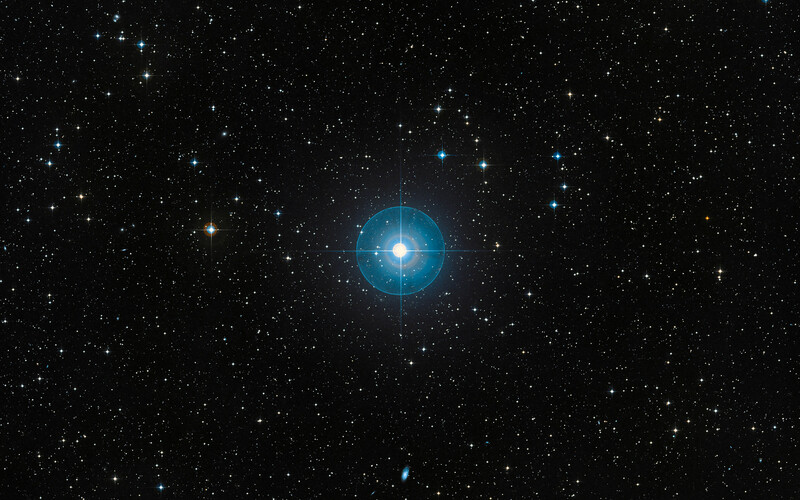 This image, based on data from the Digitized Sky Survey 2, shows a region of approximately 1.7 x 2.3 degrees around Beta Pictoris. Position (Dec): -51° 3' 59.03"